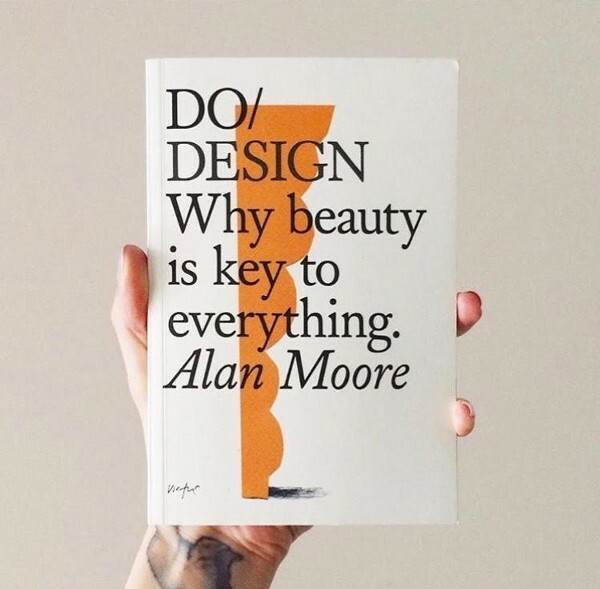 Because beauty and great design appear to be so effortless, we mistake it to be easy. Or, that genius was bestowed upon its creators by some divine spirit. There is no doubt we all have gifts. But it is only when we practise daily that we develop the capacity to see, design and create work we can be proud of — that delivers something useful to the world. Here are 14 practices from ‘Do Design. Why beauty is key to everything’, that I recommend using in an effort to create good work, a beautiful life and a beautiful business. As my friend Chef and founder of the Michelin Starred restaurant Relae Christian Puglisi, says, “Practice: is in the beauty of the daily work, improving the menu, your staff, your surroundings, yourself.” Or, as Fiona Reynolds, author of The Fight for Beauty writes, “The human spirit needs beauty and can’t live without it; we all strive for more beauty given half the chance”. Be curious about the world: It is the wellspring of creativity. Increase your creative depth of field: Feel as intuition is an important filtering system towards truth. Develop an ability to adapt: We should be prepared to continually upgrade ourselves constantly. Observe: Look at things, take them apart, explore how one could create them differently. Look at the world around you, the big and the small. Let a little wonder in to brew over time. Go See: The mentor who changed my life for the better, was a ‘Go See’, you never know what happens. Build new language: Having knowledge, even a basic understanding of new ways of working, and making enables us to boost our creativity. Be open: Natures default setting is open. Always be open to new ideas, new thinking, new tools, technologies and ancient wisdom. Work better together: The Muhammad Ali’s best shortest poem. “Me, We”. Start with optimism: The only place to start if you want a good outcome. Recognise no boundaries: There are no boundaries to what you can see, what you can make and how you make it. The only question you need to ask yourself are why, and can it be beautiful? Surrender: We should be prepared to surrender to our deep intuition. It comes from observing, reflecting and practice. This is our preparation. Only work with good people: Work should be enjoyable and should uplift your spirits. Let go of fear: Believe in what you are doing, back yourself, work with conviction. These are some of the benefits. * The lens and the language of beauty is a framework that guides you to becoming an improved business culture, and a more successful business. * The practice of Craftsmanship makes you a better maker / designer and a better leader. * By enhancing the sensory and joyful experiences you create. Your products and services will be in greater demand. We will show how the quest for truth in that what you make delivers more enduringly satisfying results. * The 6X rule of experience in design: those with a positive emotional experience are 6x more likely to buy more 12x more likely recommend. 5x more likely to forgive a mistake. * The value of the things you can’t measure are the ones that deliver the most: trust, empathy compassion, purpose, hospitality as generosity, deep listening. Beautifully Crafted Businesses create greater value and are ultimately more profitable. What would your business look like were it more beautiful? Extract from, Do Design. Why beauty is key to everything. Published by The Do Book Company.